Did the Grammys "get" grunge? A look at Seattle artists' successes and shutouts at music's biggest night. Regardless of how many golden gramophones Brandi Carlile’s secured by the time the 61st annual Grammy Awards show wraps on Sunday, her six nominations — including three of the top four categories — is an astounding achievement. Already one of the Northwest’s great songwriters, the beloved folk star’s Grammy spree places Carlile in elite company. Seattle Symphony is up for 3 Grammys. Here’s a beginners guide to enjoying the Symphony. 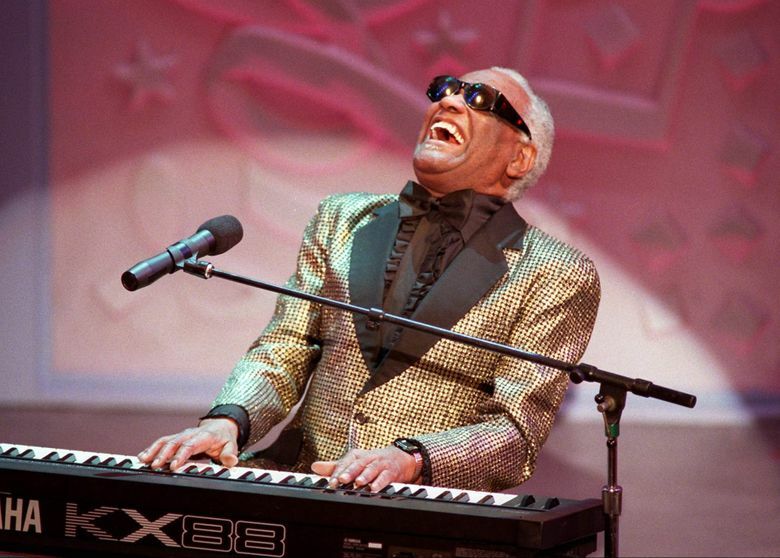 As far as we can tell, Ray Charles and Quincy Jones are the only Seattle-area artists to receive more nominations in a single year (seven). Few other local nominees have flooded the Grammys’ major categories as a lead artist the way Carlile has, earning several marquee nominations in a year when the Recording Academy expanded the nomination pool from five to eight for those top honors. In light of Carlile’s remarkable run, we take a (noncomprehensive) look at how some of Seattle’s biggest stars have historically fared at the Grammys. Our book critic plans to dash to 21 bookstores on Independent Bookstore Day. How many can you get to? Only a handful of Seattle-linked artists have ever been nominated for more than one of the Big Four awards — album, record and song of the year, plus best new artist — in the same year. Charles, a 17-Grammy winner who spent two formative years here, picked up album and record honors with his triple-platinum swan song “Genius Loves Company” and its Norah Jones duet “Here We Go Again” among his five posthumous 2005 wins. 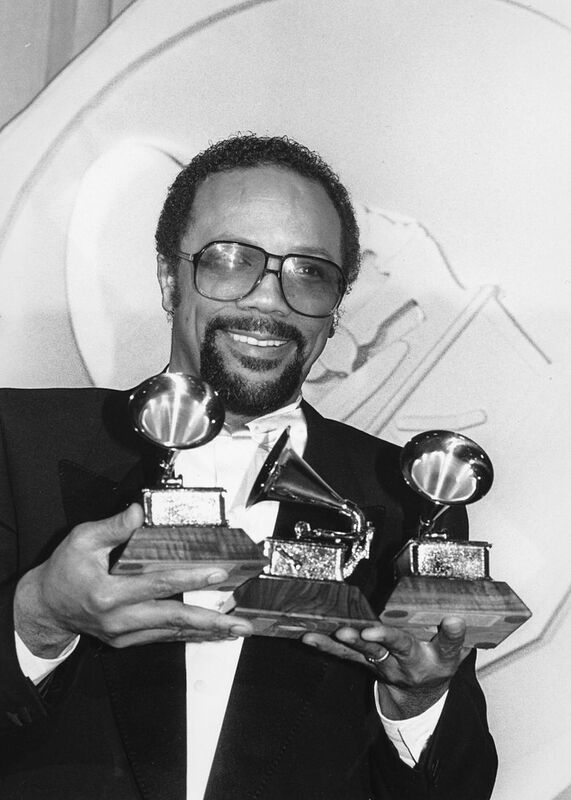 Jones earned two Big Four noms in the same year twice as a producer, both times during the ’80s for his work with Michael Jackson’s “Thriller” and the star-studded charity compilation “We are the World.” The Garfield High School alum and the Grammys’ second biggest winner of all time (27, tied with Alison Krauss) had arguably his best year in 1991, netting six wins (including album of the year) with his genre- and generation-blending “Back on the Block” LP, plus a producer of the year honor. 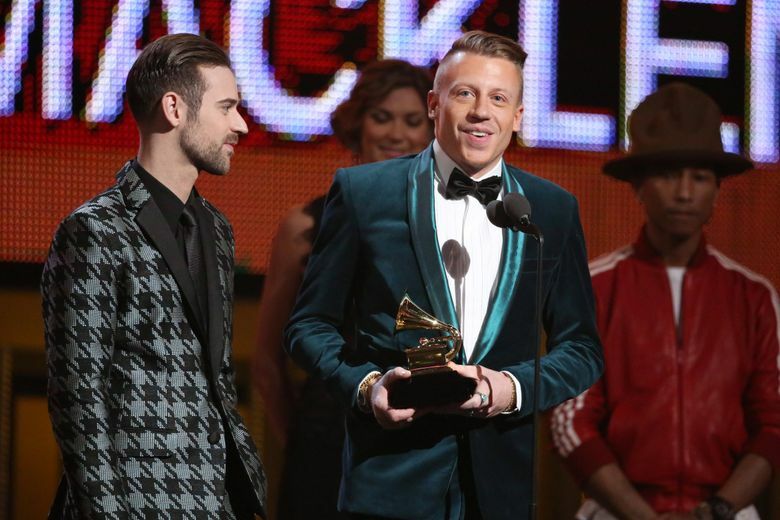 More recently, Macklemore and Ryan Lewis scored two Big Four noms (including a best new artist win) at their breakout 2014 awards show, as did Foo Fighters in 2008. Did the Grammys “get” grunge? The extent to which the city of flannel-y love changed the face of rock music during the late ’80s and early ’90s isn’t necessarily reflected in the Grammy win column. 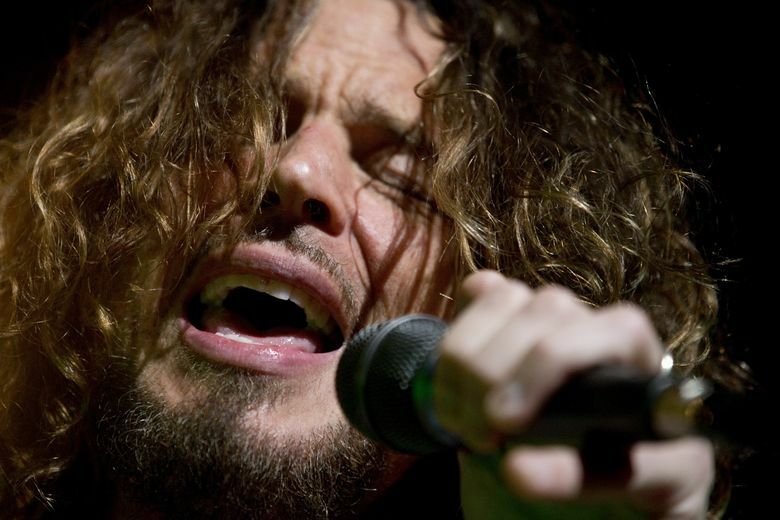 Heading into this year, grunge’s commercial champs Nirvana, Pearl Jam, Soundgarden and Alice in Chains have collectively won just four of their 38 group and songwriter nominations, though Alice in Chains and Chris Cornell (solo) are up for awards this year. The bands were often hard-luck losers to classic rock greats like Eric Clapton, Bruce Springsteen and the Rolling Stones in the rock categories. Even the ultimate Seattle battle was won by nonlocals. Alice in Chains, Nirvana and Pearl Jam — not to mention Duff McKagan’s Guns N’ Roses — squared off for 1993’s best hard rock performance award, which ended up going to skin-baring funk rockers Red Hot Chili Peppers. Of grunge’s big four, Soundgarden is the only one with multiple full-band wins, while Nirvana didn’t land its first until after Kurt Cobain’s death with “MTV Unplugged in New York” (best alternative music performance), besting Foo Fighters and The Presidents of the United States of America. Dave Grohl’s had better luck since, winning 15 post-Nirvana awards in 33 chances mostly with the Grammy rock darling Foos. Less surprisingly, Seattle’s next generation of guitar-wielding nominees didn’t fare any better. Three of our biggest rock exports since the ’00s — Death Cab for Cutie, Modest Mouse and Fleet Foxes — have been shut out amid 11 group and songwriter nominations, led by Death Cab’s eight. Neko Case, who found greater success after leaving the Northwest, is 0 for 3. Grammy voters often favor more commercially prominent acts, even in the alternative categories, so it’s hard to cry upset. Who could forget Macklemore and Ryan Lewis’ 2014 coming-out party, when the chart-topping duo took home three gramophones for best new artist, best rap album (“The Heist”) and best rap performance (“Thrift Shop”). The controversial rap category wins over the critically favored Kendrick Lamar highlighted the Grammys’ sometimes fraught history with hip-hop, raising questions of cultural appropriation. Mack’s public apology to Lamar only fanned the flames and the duo reportedly declined to submit their follow-up album for Grammy consideration. 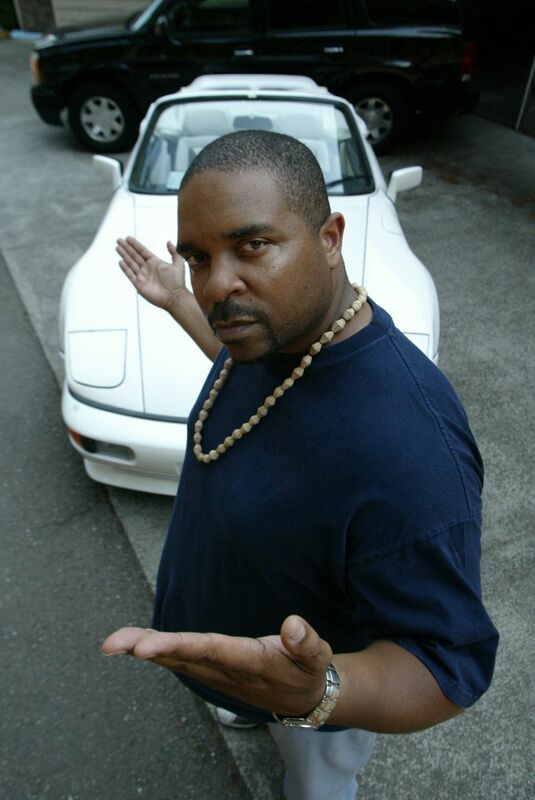 Less controversial was Sir Mix-a-Lot’s 1993 best rap solo performance win with inescapable booty anthem “Baby Got Back,” his sole award in three career nominations. East Coast-born jazz-rap troupe Digable Planets, featuring local hip-hop sorcerer Ishmael Butler, earned the best rap performance duo/group award in 1994 with their classic “Rebirth of Slick (Cool like Dat),” while losing best new artist to Toni Braxton. It’s also worth noting that numerous behind-the-scenes beatmakers, like Seattle stalwart Jake One, have earned nods for their production work on other artists’ records over the years. A number of notable Seattle nominees have unfortunately come up empty, including Heart (four nominations), late jazz great Ernestine Anderson (four) and Alice in Chains (nine, including this year, though the hard-rock mainstays could break the losing streak on Sunday with “Rainier Fog” up for best rock album). Most conspicuously, Jimi Hendrix — one of the most important guitarists of all time and arguably Seattle’s most famous musician — struck out in his only nomination for his legendary “Star Spangled Banner” rendition. Decades later, the academy made amends, posthumously handing the music icon a lifetime achievement award. Michael Rietmulder: mrietmulder@seattletimes.com; on Twitter: @mrietmulder. Michael Rietmulder is the Seattle Times music writer.